Paul is a single father with 4 children all in their teenage years… It’s no wonder that he is on the stage of life that is Comedy… Check out his un-barred view of the crazy world we live in today. Halfway between, Cannabis Activist, Educator & Jester. Paul Takes on the big topics of today, such as Big Pharm, Doctors becoming the new drug pushers & how most of our population or just lemmings following the next person with an ambient glow from their devices..
Brumbaugh’s humor and unique perspective on the local comedy scene along with a variety of interesting guests such as Patrick Carlin ( George’s BBrother ) with The 420 SHOUTOUT! will keep you on the edge of your seat wondering where they may go next. Stayed tuned to keep your finger on the pulse of what people are already calling a road map to entertainment in The City! To hear another side of Paul, come to one of his live shows to get that unfiltered perspective look at his topsy turvey life as it unravels in front of your eyes. Paul can work relatively clean, but is best known for his unique style of blue comedy. National touring comedian with his roots in the San Francisco Bay Area playing such legendary clubs as: The San Francisco Punch Line, The Purple Onion, The Comedy Store – Hollywood, Tommy T’s, and Paul is also a “House Comedian” for The Improv Comedy Clubs across the country, A cannabis activist for over 20 years, Paul finds himself performing as he educates at Hemp Festivals often as possible. plus many more venues large & small. 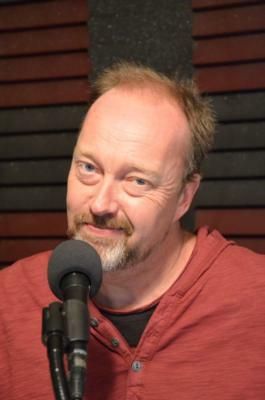 Writer, Producer, Stand Up Comedy, Improv, Acting, Hosting, Interviewing, “On Air” Personality, Voice Over Actor, Studio Voice, Performance Art, Content Development. Scriptwriting, Directing. Writing, Producing, Stand Up Comedy, Improv, Hosting, Interviewing, Voice Over Acting, Studio Voice, Performance Art, Content Development. Scriptwriting, Directing. Topical, political & social commentary is among his repertoire. Paul will write jokes for special occasions, corporate events, etc. George Carlin, Richard Pryor, Robin Williams, Louis C.K, Phyllis Diller, Jonathan Winters, Flip Wilson & Lewis Black.